There are right ways you should be carrying your little one. 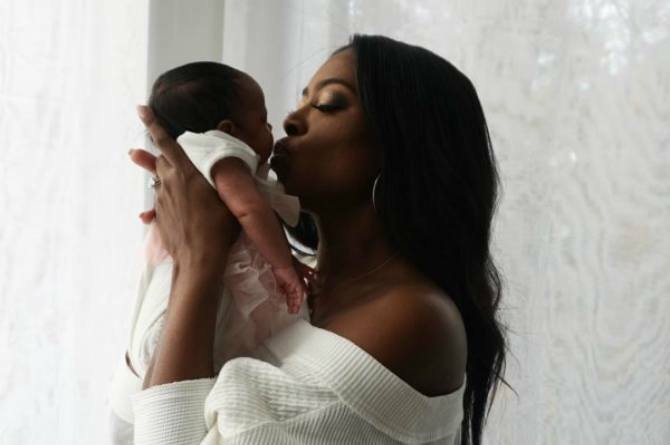 Kenya Moore, former Real Housewives of Atlanta star, was criticized recently for the way she was carrying her baby in an Instagram post. In the photo, she was carrying and kissing her baby Brooklyn, just over a month old. People said that the way she was carrying her baby was how not to hold a baby. Some fans adored her photo, and others chided the fact she was kissing her baby and holding her baby the wrong way. One comment said Kenya shouldn’t be holding her baby underneath baby’s armpits as baby will become sore from being held in the air by the armpits. Babies are fragile. Carrying a baby the wrong way could cause lasting damage to your little one. Baby’s neck muscles aren’t developed, and it usually takes about a month for baby to move her head on her own. So when carrying baby, her head might flop to one side, which might injure or make her difficult to breathe. Holding baby by her armpits not only makes her uncomfortable, it lacks proper head support. Always make sure you support baby’s head with your full hand or arm. It takes a full six months plus before baby can support her own head. It’s just the head, you need to support baby’s back and hip as well. Most parents carry baby under the head and buttocks only, which could less to stress injury, stress to the spine or a fall because there’s not much balance in such a large surface area. Place a hand or arm under all of baby’s back and hip, and another hand (or the same arm) to support baby’s head. If you’re carrying baby against your shoulder, being chest to chest should serve as enough back support for baby. When burping baby, moms usually carry baby chest to chest. Make sure baby’s face isn’t covered against mommy’s shoulder. Not only is it difficult to breathe, whatever fabric you’re wearing can get into baby’s mouth or nose. Always check if baby is able to breathe properly. When burping baby, make sure her head is above or facing away from your shoulder. You wanna show off your little one to the world, but don’t make facing outwards a habit. This can put unnecessary pressure on her spine, undue pressure on the groin or chafe her inner thighs. Even with baby carriers, always opt for baby to face inwards chest to chest. Having baby embrace you is more natural and helps you become closer to her. It goes without saying that you shouldn’t be doing other things while carrying baby. This includes menial things like drinking a hot beverage or using your phone. This includes carrying baby down the stairs – don’t do it. When you don’t focus, baby could fall and have a serious injury, or worse. Focus on the things you need to do, and leave baby in her cot or under your loved one’s care. If baby gets moody or starts crying when you carry her, maybe she’s uncomfortable. Try holding her in a different position. Or gently rock baby, holding her on your shoulder. Remember to give baby room to breathe – either above your shoulder or her head turn aside. Nervous about holding baby? Try a seated position, especially if you don’t feel strong enough to carry baby. 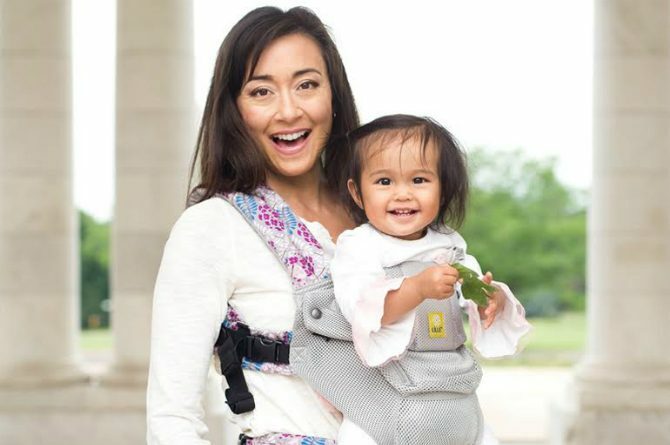 For hands free carrying, invest in a baby carrier or a Boba Wrap. Don’t forget to read and follow the instructions on how to wrap baby.